Most design firm leaders will agree that networking with CEOs and other important decision-makers in client organizations is an important aspect of business development. Yet many firms take a loose approach to networking—it only exists as a “passive” way to identify new client relationships and secure references. 1. Remember that networking is just another method of prospecting; it has its own set of costs associated with it. Plan and budget for them. 2. Success or failure of the networking process depends on setting specific goals, a budget, and a time horizon. 3. Networking also depends on knowing the market, adding value to buyers, understanding profitability, and being aware of the competition, just like any business. 4. Practice an ethic of going to work to work the network. 5. Be open and outgoing in networking situations; don’t be shy. 6. Understand that you must give something in a networking situation before you can receive benefits from networking. 7. Learn to position yourself through giving of your time, your talents and your energy. 8. Make an inventory of the best, most desirable clients/skills/abilities. 9. Review all of your current affiliations. 10. Be brutally candid about reviewing your own strengths and weaknesses. With business development, everything we do should drive the client’s perception—you want to micromanage client perception. Learn more essential networking tips with the A/E Marketing Journal, PSMJ’s monthly newsletter, that is your guide to attracting and keeping great clients. Each issue of PSMJ's A/E Marketing Journal delivers dozens of fresh approaches and proven-effective strategies to help your marketing and business development efforts succeed, including how much to spend on business development, the importance of social marketing as a cost-effective tool, letting marketing strategy drive your marketing tactics, and getting "a seat at the table." Seasonally adjusted nonfarm payroll employment increased in 22 states from April to May, decreased in 27 states and the District of Columbia, and was unchanged in Idaho, the Bureau of Labor Statistics (BLS) reported on Friday. Employment increased in 29 states from a year earlier and decreased in 11 states plus D.C. Construction employment increased from April to May in 23 states, dropped in 27 and was flat in D.C. Compared with May 2010, construction employment rose in 22 states plus D.C. (the largest positive count since February 2008) and declined in 28 states. Nationally, construction employment inched up 2,000 (0.04%) for the month and was unchanged from a year earlier. BLS combines mining and logging with construction in six states and D.C. to avoid disclosing data about industries with few employers. The largest year-over-year percentage gains in construction (or combined) employment were in Michigan, 5.2%, or 6,300 jobs; Hawaii, 4.2%, 1,200 combined jobs; Texas, 4.1%, 23,200 jobs; Tennessee, 4.0%, 4,200 combined jobs; and D.C., 3.8%, 400 combined jobs. Texas added the most jobs. The steepest declines were in Nevada, -10.8%, -6,500 jobs; Rhode Island, -10.0%, -1,600 jobs; Georgia, -8.5%, -12,700 jobs; Vermont, -7.9%, -1,100 jobs; and Colorado, -7.7%, -8,900 jobs. The largest number of construction job losses over the year was in Florida, -14,300 (-4.1%). The producer price index (PPI) for finished goods rose 0.6% in May, not seasonally adjusted (0.2%, seasonally adjusted), and 7.3% over 12 months, BLS reported on Tuesday. The PPI for inputs to construction—a weighted average of the cost of all goods used in construction, plus items consumed by contractors, such as diesel fuel—increased 0.9% for the month and 7.5% year-over-year. Major contributors to the year-over-year jump were diesel fuel, up 40% despite a drop of 3.2% since April; copper and brass mill shapes, down 4.0% for the month but up 17% since May 2010; aluminum mill shapes, 2.6% and 11.9%, respectively; and steel mill products, 1.1% and 10.1%. The monthly rise was also fueled by the PPIs for gypsum products, up 4.3% in May but down 1.2% year-over-year; asphalt paving mixtures and blocks, up 3.2% and 4.5%, respectively; and plastic construction products, 1.8% and 3.9%. In contrast, the PPI for concrete products fell 0.1% in May and was flat year-over-year, and the index for lumber and plywood dropped 1.3% and 8.4%. The materials cost spike intensified the cost squeeze on contractors, who generally remained unable to pass higher prices through in bids. The PPI for new industrial building construction edged up 0.1% for the month and 1.1% year-over-year; offices, 0 and 1.5%; warehouses, 0 and 1.7%; and schools, 0 and 1.8%. The PPI for nonresidential new and repair work by concrete contractors rose 0.1% in May but fell 0.1% from May 2010; roofing contractors, 1.7% and 1.0%; plumbing contractors, 0.1% and 1.3%; and electrical contractors, 0 and 2.2. The consumer price index for all urban consumers—probably the most widely followed measure of inflation—rose 0.5% in May, not seasonally adjusted (0.2%, seasonally adjusted) and 3.6% over 12 months, BLS reported on Wednesday. Thus, contractors are experiencing cost increases roughly double the perceived rate of general inflation. Privately owned housing starts in May climbed 3.5% above the upwardly revised April level at a seasonally adjusted annual rate but were 3.4% below the May 2010 rate, the Census Bureau reported on Thursday. Single-unit starts rose 3.7% for the month but dropped 8.9% year-over-year. Multi-unit starts gained 2.9% and 17.5% over the two intervals. Building permits, generally a reliable indicator of near-term future starts, rose 8.7% and 5.2% overall; rose 2.5% for the month and fell 6.9% year-over-year for single-unit permits; and soared 23% and 41% for the typically volatile multi-unit permits. Industrial production (IP) in manufacturing grew 0.4% in May, seasonally adjusted, following a downturn of -0.5% (initially estimated as -0.4%) in April, the Federal Reserve reported on Wednesday. The index increased 3.7% since May 2010. IP for construction supplies jumped 1.4% in May and rose 4.0% year-over-year. Capacity utilization in manufacturing rose to 74.5% of capacity from 74.2% in April but was still below the March level (74.7%) and the 1972-2010 average (79.0%). Sustained IP gains and high capacity utilization can signal demand for manufacturing construction. The latest Manpower Group survey of 18,000 U.S. employers, released on Tuesday, found 20% expect to add to their workforces and 8% expect a decline during the third quarter. “When seasonal variations are removed from the data, the Net Employment Outlook is +8%...a relatively stable pace compared [with the second quarter] and “a slight increase compared to one year ago.” The Net Employment Outlook was +11 for construction, ranking the industry eighth out of 11 industries with positive outlooks. The outlook was negative for government and education and health services. The outlook for construction rose from 6 in the second quarter, putting the industry among five sectors that anticipate a “moderate” hiring increase. Employers in five other sectors anticipate a “slight” hiring increase. A “considerable” increase is expected in construction in the Northeast, “moderate” increases in the South and Midwest, and a “slight” increase in the West. PSMJ Resources, Inc., the premier management consulting firm for the A/E/C (architecture/ engineering/construction) industries, today announced that billing rates for most management positions either held steady or decreased during 2010 and 2011 after increasing in 2006, 2007, and 2009. From the Principal level all the way down to Junior Engineer, A/E billing rates were down or flat in 2010. This comes after a steady climb since 2006, according to the latest data in the 2011 A/E Fees & Pricing Benchmark Survey from PSMJ Resources, Inc. Slowing market conditions and increasing competition appear to have many firms succumbing to pricing pressure from clients and competitors. One example of the downward slide in billing rates is at the top Principal level. After a run up from $170/hour in the 2007 survey to $183 in the 2010 survey, Principals billed at a median rate of just $178 according to the 2011 survey. It should be noted that a particular survey reflects the median billing rates for the preceding year. Complete details on the latest fee data for the A/E industry can be found in PSMJ’s 2011 A/E Fees & Pricing Benchmark Survey. To learn more about the keys to a long-term and sustainable pricing strategy along with the latest insight in effective risk management, PSMJ has packaged an intensive two-day program designed specifically for A/E firm leaders interested in achieving lasting profitability. Reducing RISKS, Raising PRICES, & Negotiating Better Contracts will be offered at five locations this summer; July 14-15 in Atlanta, July 21-22 in Toronto, August 4-5 in Denver, August 18-19 in Chicago, and August 25-26 in Seattle. Get more information now, or call 1-800-537-PSMJ to register today! As firms look for the best and brightest leadership, many energetic Millennials are picked as managers. Not surprisingly, age differences can cause real relationship barriers and disrupt team dynamics on a project. 1. Remember that you are young and inexperienced. Don’t be insulted if some of your direct reports are aware of that, too. Prove yourself without showing off. 2. Get to know each person on your team. Learn what you have to learn from each person. Figure out where each person on the team is coming from and where each one is going. 3. Build an ongoing dialogue with each team member. Talk to every person one-on-one at least once a week, and talk about the work. Gradually discover what you need to talk about (and how you need to talk) with each team member, and develop a good system for keeping notes in a running log. 4. Don’t shoot down ideas. Instead, when presented with new ideas, ask for a written proposal with pros and cons, a schedule of goals and deadlines, resource needs, etc. 5. Find at least one wise sage on your team, someone who can tell you the inside scoop, where the resources are, pitfalls, shortcuts, politics, and context. 6. Get results. If your team succeeds, you will gain power and status and rewards for yourself and your team. Then they’ll love you, no matter how young you are. Although the Millenial work ethic may be difficult to understand at times, they can truly become the most trusted and valued members of your firm…once you understand what makes this generation of young architects and engineers tick. Discover tools and tips to attract, retain, and empower the very best of this generation with PSMJ’s upcoming webinar Winning With Millenials. Find out how to tap into your Millennial’s real potential and reap the benefits today! In May, seasonally adjusted “nonfarm payroll employment changed little (+54,000), following increases that averaged 220,000 in the prior 3 months,” the Bureau of Labor Statistics (BLS) reported on Friday. “The unemployment rate was essentially unchanged, at 9.1%” (8.7%, not seasonally adjusted), compared with 9.0% in April. “Construction employment was essentially unchanged in May. Employment in the industry has shown little movement on net since early 2010, after having fallen sharply during the 2007-09 period.” To be precise, construction employment in May totaled 5,529,000, up by 2,000 from April and exactly equal to the May 2010 total but down by 2.2 million (29%) from the peak in April 2006. Results varied widely by subsector. Heavy and civil engineering construction firms added 3,100 workers in May and 34,400 (4.2%) over 12 months; nonresidential specialty trade contractors, -9,900 for the month, +900 (0.0%) over 12 months; residential specialty trades, +14,100 and -6,500 (-0.4%); nonresidential building, 600 and -7,200 (-1.1%); and residential building, -5,900 and -21,400 (-3.7%). Construction unemployment in May totaled 1,367,000 (16.3%), not seasonally adjusted, down from 1,755,000 (20.1%) in May 2010 but a far higher unemployment rate than in any other industry. Since the number employed in construction was unchanged over that period, the drop may reflect individuals finding work in other industries or withdrawing from the labor force (because they retired, returned to school, gave up looking or other reasons). Architectural and engineering services employment, a harbinger of demand for construction, rose 3,000 in May and 31,600 (1.7%) year-over-year. Construction spending in April totaled $765 billion at a seasonally adjusted annual rate, the Census Bureau reported on Wednesday, 0.4% higher than in March but 9.3% lower than in April 2010. However, Census reduced its March estimate to $762 billion, 0.1% above the February total, from an initial estimate of $769 billion. Public construction shrank for the seventh month in a row to a four-year low, down 1.9% from March and 7.5% from April 2010. There were declines in the top four public categories, which account for three-fourths of public construction (listed in descending order of current size): highway and street, -1.6% for the month and -5.6% year-over-year; educational, -2.7% and -8.6%; transportation facilities, -3.8% and -15%; and sewage and waste disposal, -2.5% and -12%. Private nonresidential spending edged up 0.5% for the month but was down 8.5% year-over-year, with very mixed results among the top segments. The largest segment, power, increased 3.2% over both intervals; commercial (retail, warehouse, farm) fell 1.3% and 9.2%; manufacturing sank 1.0% and 27%; and health care was up 0.8% for the month but down 1.5% year-over-year. Private residential construction climbed 1.7% from March but fell 10% from April 2010. The largest segment, improvements to existing single- and multi-family housing, jumped $8 billion (7.6%) for the month, although the initial estimate for March was reduced by $10 billion. New single-family spending fell 1.0% and 13%; new multifamily, -0.1% and -7.6%. “The rebound of U.S. hotels and resorts is drawing in buyers who stepped back from the industry prior to the recession,” the Journal reported on Wednesday. “Among those now marshalling billions of dollars to acquire hotels is KSL Capital Partners LLC, [which] is expected to disclose Wednesday that it has finished raising a $2.1 billion fund targeting distressed resorts…Others include [Westbrook Partners, which has] seized control of eight high-end hotels,…Starwood Capital Group and Blackstone Group.” Investors in distressed hotels often invest in renovation. “In April, [KSL] bought the historic, 409-room Royal Palm hotel near Miami for $130 million, converted it to the James brand and plans to complete a $42.6 million renovation by next year.” Census data show spending on private lodging construction rose in February and March but fell 4.4% in April to a level 32% below the April 2010 mark. Out of 77 metro areas, 2010 pay (wages, salaries, commissions and production bonuses) for construction and extraction occupations was highest in the New York-Newark-Bridgeport metropolitan area (including portions of New York, New Jersey, Connecticut and Pennsylvania), BLS reported on May 25. The “pay relative” there was 29% higher than the average for all 77 areas. Workers in San Jose-San Francisco-Oakland received 28% more than the national average. At the other end of the scale, workers in Brownsville-Harlingen, Texas, received 68% of the national average, followed by Birmingham-Hoover, Alabama, and Cincinnati-Middletown-Wilmington (including portions of Ohio, Kentucky and Indiana) at 80%. 1. Speak or moderate a session at a conference. Often the registration fees are reduced (or waived) for speakers or session moderators. 3. Plan conference dinner opportunities with clients and prospects early. Get the most out of your time away from the office with those important people who are there and also away from their offices. You won’t spend that much more money than you will for a dinner with your colleagues, but the return can be tremendous. 4. Standardize so you can customize on proposal write-ups. This may seem a contradiction of terms, but there is always a certain amount of boilerplate. For example, most resumes don’t change in the descriptions of the staff member’s college degrees or professional registrations. What does always change the exact role in the project being proposed. So standardize the unchanging parts of the resume and leave a block open for focusing on the individual’s role in the proposed project. Then spend important time customizing where it counts. Keeping BD costs low will enable you to lower overhead and ultimately benefit your firm’s bottom line. For other great tips on how to manage your BD efforts, come to PSMJ’s 2011 A/E/C Marketing Bootcamp: THE Program On How To Get And Keep Clients. 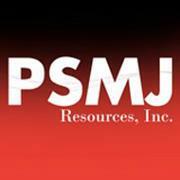 PSMJ is hosting only 2 more bootcamps this spring: June 9-10 in Chicago, and June 23-24 in Las Vegas. Get the tools and confidence you need to succeed in bringing in more work for the firm – register today! The American Institute of Architects’ Architecture Billings Index showed a sharp decline in billings for the month of April. This was a discouraging sign, as the ABI has show steady improvement since last October. While this could mean another recession in the architecture industry, it will hopefully prove to be just a minor hiccup along the path of continued growth. The Architecture Billings Index registered a score of 47.6 in April, a substantial decrease from 50.5 in March. Firms reported that the threatened federal government shutdown, tornadoes though the Southeast, and dwindling federal stimulus funds for building activity all contributed to the decrease of design activity in April. While inquiries for new projects remained strong for the month, many firms reported that the value of the new design contracts that they did receive had declined when compared to those in March. Billings levels once again varied from region to region in April. Business conditions at architecture firms located in the Northeast and Midwest regions of the country continued to improve, but firms in the South and West regions saw a decrease in billings. While firms in the South appear to have hit a snag in their recent improvement, due in part to the increase in natural disasters that have struck the region, those in the West continue to struggle to emerge from the economic downturn. ABI results by firm specialization were mostly negative for the month. Firms that have an institutional specialization, as well as those with a commercial/industrial specialization, had a fairly significant slowdown in their ABI scores in April. Firms with residential specialization continued to do well, posting their seventh consecutive month of billings growth, but conditions for firms that specialize in institutional work remained particularly weak. The economic picture on a broader scale remains to look somewhat unclear. While nonfarm payroll employment improved again in April, adding 240,000 positions and architecture firms adding 300 jobs in March (the most current data available), GDP increased by an annual rate of just 1.8% in the first quarter of 2011. This figure is significantly lower than the 3.1% increase reported for the fourth quarter of 2010, due primarily to a decrease in government spending at every level: federal, state and local. The availability of construction project financing remains a major issue for many architecture firms, with 57% of survey respondents rating the issue as very or extremely serious, and an additional 30% indicating that it is a somewhat serious issue. 45% of respondents think that the availability of credit has continued to grow more restrictive over the past year, with just 16% seeing an easement in credit availability. It was larger firms, with $5 million or more in annual billings, who were least likely to find that access to credit has become more restricted. By region, the ABI breaks down as follows from February to March: Northeast is down 51.2 from 51.4, South is down 48.3 from 49.7, Midwest is down 51.1 from 53.5, and West is down 47.7 from 50.6. By market sector: Institutional is down 45.9 from 48.0, Commercial/Industrial is down 49.9 from 54.7, Residential is up 53.9 from 50.8, and Mixed is down 45.2 from 49.8. • As we do mostly public sector work, financing is not the issue in the typical sense. For us, significant and continuing cuts in public budgets are the issue. - 8-person firm in the Northeast, institutional specialization. • Design and construction in our region is undoubtedly going to be affected by the major tornado outbreak and extensive damage to metropolitan areas. Impacts may range from labor and material shortages to additional opportunities for reconstruction work. - 4-person firm in the South, institutional specialization. • Business has picked up, but the concern over rising oil prices, falling dollar value, some bad legislation through Congress, and increasing inflationary pressure means more uncertainty. - 80-person firm in the South, commercial/industrial specialization. • Some firms are getting bought up by out of state firms and other firms are closing. We have been receiving many RFPs from cities, counties, etc., not necessarily for a specific project, but for on-call services, probably to replace personnel. - 3-person firm in the West, residential specialization.